The two-story living room features streams of sunlight, compliments of oversized windows. A wall of bookcases has a rolling ladder, putting the fun in functional access to the library. 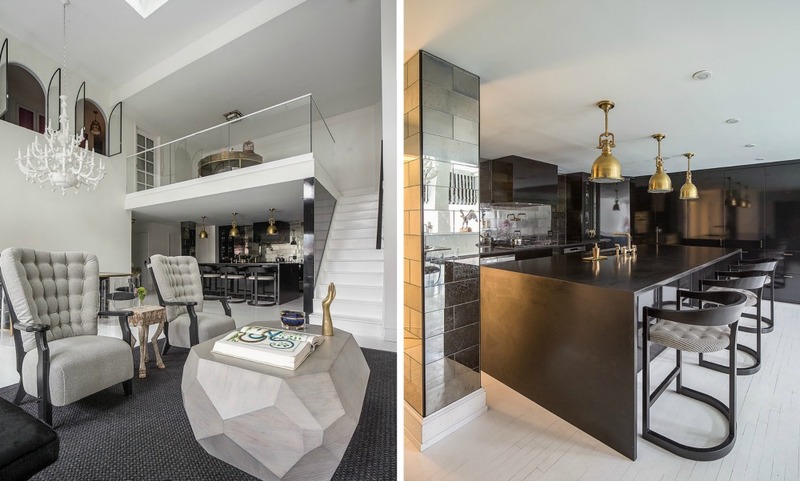 While some capricious elements–like the table that looks like a rock and the gold hand that appears to be coming out of it–might stand out, look closer for some more unusual accents like the legs of the side table that have hooves. 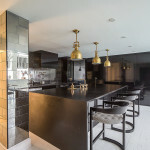 Across the room is a trendy, elegant dining area, and an adjacent kitchen features a pillar of mirrored tiles and an island. Upstairs, there’s a lofted area with a balcony overlooking the entertaining space. 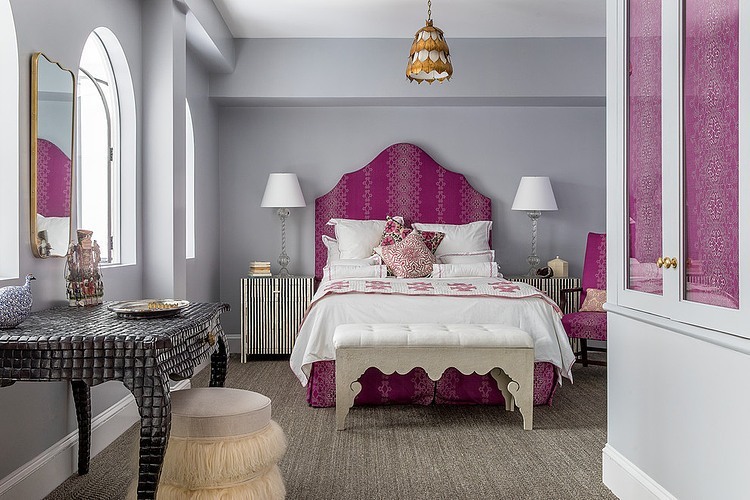 It’s up here that the color palette is really set free, starting with splashes of pink in the bedroom, which also has windows looking out to the living room below. 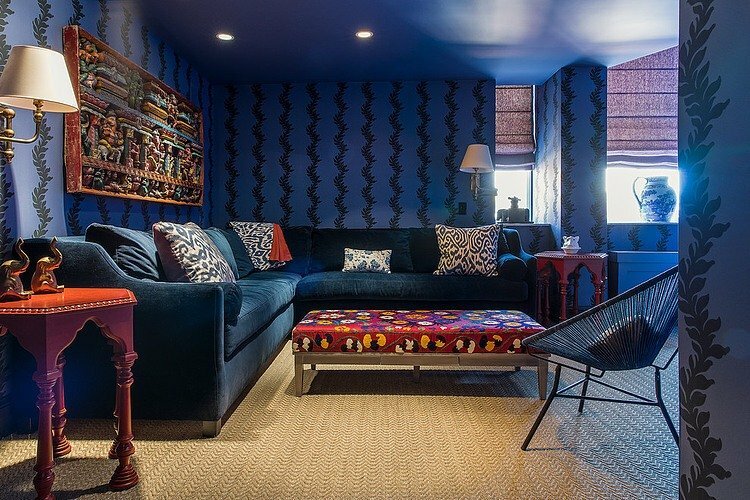 An adjacent bold blue sitting room glows with the light from large windows. 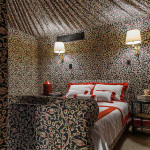 Meanwhile, a second bedroom takes fun with prints to a whole new level, covering the bed and walls, and creating a textured canopy on the ceiling. 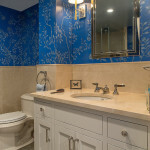 Lastly, a classically stylish bathroom has rich blue wallpaper to complete the vibrant color palette. Take a closer look at the photos in our gallery to see more textures and quirks, and get more inspiration from James Dixon Architect here.